WINCHENDON – Theodore R. Morse, 74, of 5 Center Lane, died peacefully at his residence Tuesday morning, February 12, 2019, with his family at his side. 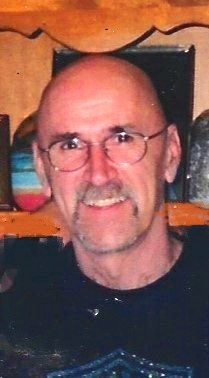 He was born in Gardner on January 25, 1945, son of the late Robert A. and Marie (Dupuis) Morse and grew up in Ashburnham. Ted entered the United States Army from high school and proudly served his country during the Vietnam War. Ted lived in Ashburnham for most of his life until moving to Winchendon approximately 20 years ago. Ted worked for many years as a shipper and receiver at Digital. He later worked for several years in the window department at Maki Equipment Co in Gardner until his retirement at the age of 65. He was a member of the Thomas P. Sweeney Post #142 American Legion Post in Ashburnham and the Ashburnham Rod and Gun Club. He was a Harley Davidson motorcycle enthusiast and also loved tinkering with old cars. He leaves his wife of 24 years, Pauline (Vendette) Morse; his children, J. Scott Laakso of Atlanta, GA, Tammy Murphy of Florida and Missy Ross of Ashburnham; stepsons, Michael A. Lashua and his wife Julie of Winchendon, MA and Mark E. Lashua of Ft. Lauderdale, FL; three grandchildren, Ryan S Murphy of Florida, Maggie J. Lashua, and Erica M. Lashua of Winchendon, MA and several brothers, sisters, nieces, nephews, and many close friends. A son, Bobby Lashua, preceded him in death. He also had a special dog, Bandit, who was very loved. Military funeral services will be held Friday, February 15, 2019 at 2 P.M. in Massachusetts Veterans’ Memorial Cemetery, 111 Glenallen Street. There are no calling hours. His family plans to have a Celebration of Life at a later date. Memorial donations may be made to GVNA Healthcare Inc, 34 Pearly Lane, Gardner, MA 01440.